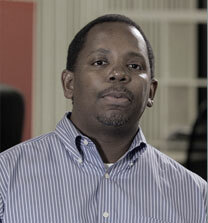 Scott Thurmond is the founder of Thurmond Consulting, LLC and a consultant at the company. The organization’s mission is to train churches to serve the poor and hurting in the Sacramento region. Scott is also the founder of Church Volunteer Network and has assisted in starting dozens of compassionate outreaches across the Greater Sacramento Region. 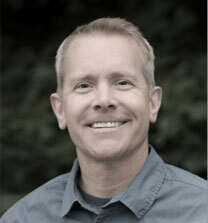 Scott has a Bachelor’s degree in Spanish from UC Davis and completed his Masters from Fuller Seminary. Jeff Kreiser is the Executive Director of the ACTS Group, which is dedicated to advancing city transformation strategies in the greater Sacramento region. Jeff has worked in several contexts of urban ministry, started a new church, taught as an adjunct faculty member at William Jessup University since 2005 and was most recently the Outreach and Mission Pastor at Lakeside Church in Folsom. Jeff has his Master of Divinity from Fuller Theological Seminary, and his Master of Arts in Education/Counseling and Communication and Rhetoric, where he also minored in Psychology. Allen Nunley, on every third Wednesday of the month with the Church Volunteer Network at the Union Gospel Mission, assists with church service where he brings devotional messages and inspiring spoken words of God. He works for the State of California as an Associate Accounting Analyst, he has managed a successful accounting and tax practice “Warren and Associates Accounting and Tax Service Plus” for over 31 years, and he is an Adjunct Professor for Woodland Community College where he teaches introductory accounting and tax accounting. He is a faithful member of New St. Bethel Baptist church here in Sacramento, California. Under the leadership of Pastor Terrell F. Jones, he serves as a Deacon, Sunday school teacher, member of the church management finance committee, vacation bible school co-chairperson and member of the annual “Praise in the Park” committee. Allen was born and raised is Sacramento, he graduated from Luther Burbank High School, has two Associate in Applied Science Degrees from Heald Business College in Computer Technology and Networking Technology Windows 2000 before its closure. He holds a Bachelor’s and Master’s Degree in Business Administration both from the University of Phoenix. One of his favorite scriptures is, Isaiah 55:8-9, “For My thoughts are not your thoughts, Nor are your ways My ways,” says the Lord. “For as the heavens are higher than the earth, So are My ways higher than your ways, And My thoughts than your thoughts.” Allen is married to his lovely wife Linda, they have two children grown children, Jeffrey and Zakiah, 10 grandchildren and 3 great-grandchildren. Allen and Linda have resided in Elk Grove, CA for the past 12 years.